The city of Almaty in southern Kazakhstan is known for its majestic snow-capped mountains, its multicultural flavor, and its apples. The city of Almaty in southern Kazakhstan is known for its majestic snow-capped mountains, its multicultural flavor, and, of course, its apples, as its original name, Alma-Ata or Father of Apples, reflects. But for me, this city of my childhood is most memorable for the pioneers who gave their all to build a strong foundation for the Adventist Church in the heart of Central Asia. The Seventh-day Adventist Church has been part of Kazakhstan since the early 1900s, when the first Adventist communities sprang up in the north. Not much is known about the early church presence in the south, but according to some pioneers, a congregation of some 40 people was established by 1934. Stalin’s repressions did not miss this corner of the Union of Soviet Socialist Republics (USSR), and as a result 35 Almaty church members were arrested in 1937. Many of them received ten-year prison sentences followed by five years of exile. Three church leaders were sentenced to death, and a church treasurer was arrested and never seen again. The majority of the members were sent to labor camps, where 12 of them died from exhaustion, starvation, or mistreatment. There are many stories of church heroes from Almaty who suffered for their faith. One such family was the Frolovs. One of 13 children, Alexander was born to Russian parents in northern Kazakhstan. He was arrested in 1939, just one month after his wedding to a young woman named Vera, and sentenced to ten years in Stalin’s camps followed by seven years of exile. Alexander’s family suffered as well. His father, an elder of the Adventist church in Bulaevo, died in prison. Two brothers were also arrested; one was sentenced to death and the other vanished. Vera suffered much too. Two years before her wedding, her father had died in exile. Now her 21-year-old husband was being sent to the Komi Republic, where prisoners were working in lumber camps and building oil derricks. But God was with these exiles in the cold tundra and performed miracles to help them. M. Stepovoy, a member of the Almaty church who had buried 12 believers and was himself close to starvation, was returning to his barrack one day after praying and found a sack of dry bread. Alexander Frolov, hungry and discouraged, was praying for help when he suddenly saw a deer. He had an axe with him and threw it at the target. The meat, stored in the snow, helped him and another church member survive the cold winter. The beginning of World War II only increased the hardships and sorrows for the Adventist believers in Almaty. The repressions continued and new members of the congregation were arrested and sent to camps. In some congregations only women and children remained. After ten years in prison, Alexander was exiled to northern Kazakhstan. Vera followed him, and during that time they had a son, Benjamin, and a daughter, Lubov. Later, they returned to Almaty, where Alexander helped Michael Kulakov, recently released from prison, to pastor the growing church and several new congregations nearby. Their son, Benjamin, served as a youth leader and choir conductor at Almaty for many years and later became a pastor and treasurer in one of the Euro-Asia Division conferences. Two of Alexander’s grandsons also became Seventh-day Adventist pastors. Alexander Frolov died in Almaty in 1987 at the age of 69. Ten years after his death, he, one of his brothers, Vera’s father and mother, and some other Adventist pastors and members were exonerated. The church in Almaty went through many difficulties. Yet the believers remained faithful and continued to gather together, support each other, and share the light of God’s love. As a result, they lived to see the day when the Adventist Church in Kazakhstan could own and build several buildings in that city, including a union office, a book center, and several churches. The Almaty church grew from a small group of 40 members to several congregations spanning the city. 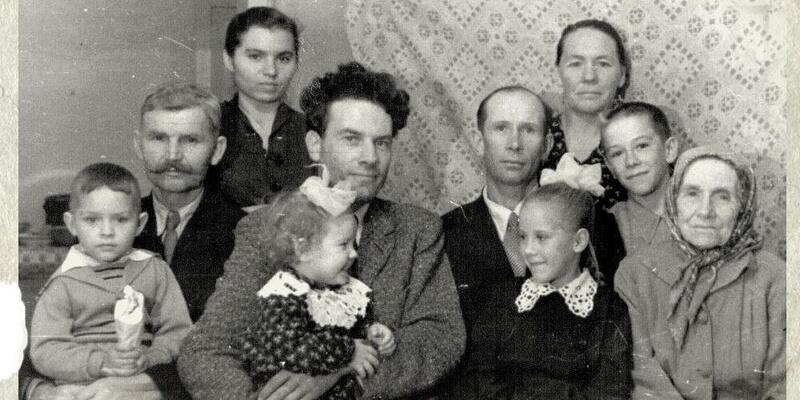 Many families, who played a distinctive role in the Adventist Church in the USSR or Euro-Asia Division, including two division presidents—Michael Kulakov and Artur Stele—were once members or pastors of this congregation. From its small beginning, the Almaty church would produce many leaders, seminary professors, choir conductors, pastors, and members who faithfully continue in the footsteps of the church pioneers. Galina Stele is the research and program evaluation assistant for the Office of Archives, Statistics, and Research at the Seventh-day Adventist Church world headquarters. To view more pictures for this article and to read more articles visit http://www.adventistmission.org/mission360mag.